TechCrunch Japan organized TechCrunch Tokyo 2011 [JP] on Tuesday, a one-day event that attracted a total of 600 people (and will hopefully be organized next year again, possibly as TechCrunch Disrupt Tokyo). The crowd was a mix of people from the local web and mobile industry, Asia, and the US (including TechCrunch’s very own Erick Schonfeld who came to Japan for the first time in ten years). Apart from presentations and panel discussions (which can be watched here), a few hours of the program were reserved for a total of ten Japanese and one Korean startup to to demo their services on-stage. Here is a rundown of all the services that were shown at the event’s so-called “Startup Battle”. 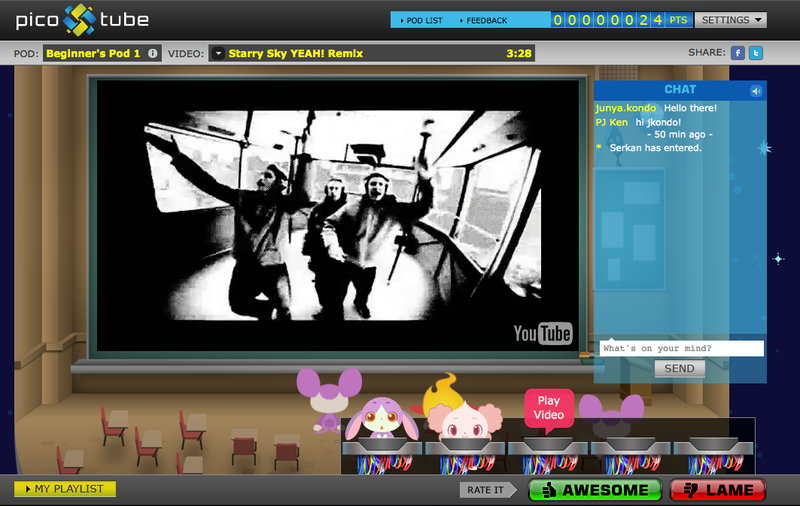 Best of show went to Picotube, which can probably be best described as Turntable.fm for video. The service uses content from YouTube and lets users choose avatars, watch clips together in a virtual theater, create play lists, and rate videos selected by other “video jockeys” (awesome/lame). Picotube is developed by Tokyo-based startup Vettl (which was established in August) and is available in English and Japanese. Vettl plans to monetize the service with virtual item sales in the future. Crowsnest is a social news reader that ranks content based on the number of corresponding links on Twitter. The service, which is available in English and Japanese, indexes and analyzes over 10 million tweeted URLs per day. Users can personalize their news (for example, by letting Crowsnest serve up links from friends or a self-defined category only), search, integrate news items into RSS readers, etc. Crowsnest looks especially nice on an iPad but is designed to be consumed cross-platform. Created by a high-school student, engraph wants to make the contact lists (address books) on smartphones social. The main idea here is to do away with displaying friends and other contacts in list form and visualize connections in the form of a map instead (see below). 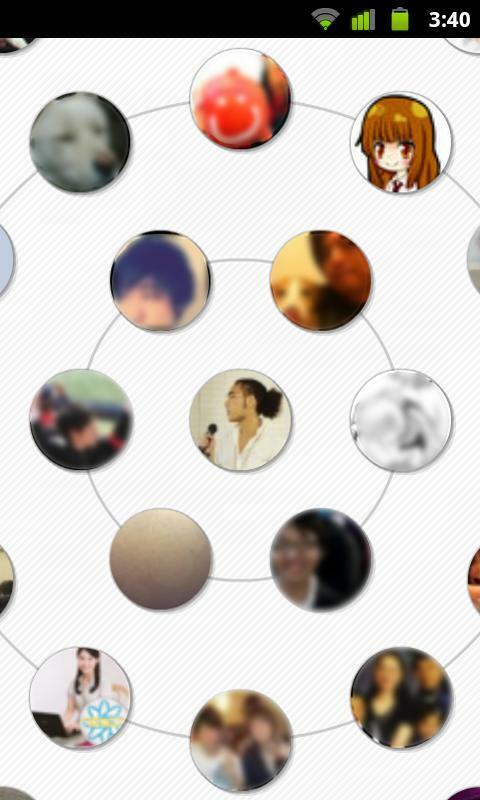 Users can access their friend’s email, Facebook, and Twitter accounts by clicking on their picture. A beta version for Android handsets is already available on the Japanese Android Market. Spoqa is a social commerce app from Korea that lets shoppers collect loyalty points after scanning a QR code at partner stores (limited to Seoul/Korea, at this point). Users can earn additional points by recommending the store in question to a friend from within the app. When the friend patronizes the merchant later, both him or her and the original Spoqa user receive points. These points can then be used for discounts or free items. 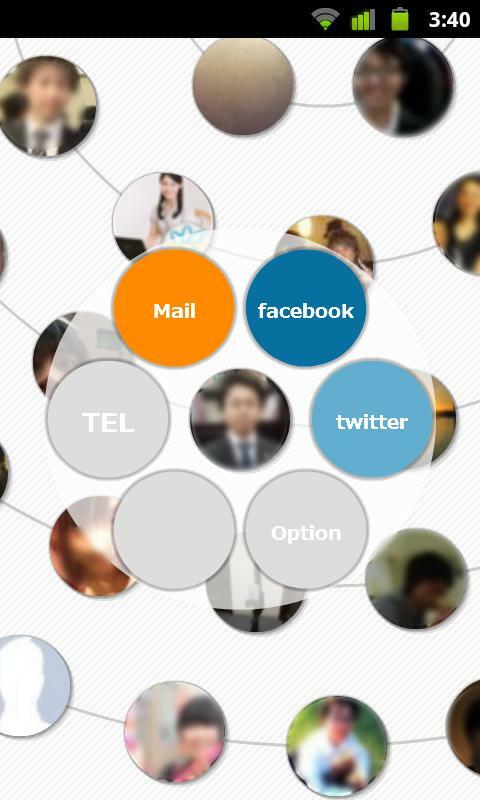 Spoqa collected a total of 24,000 users since its launch in Korea in early November (free downloads: iTunes, Android). Read more about Spoqa (in English) here. 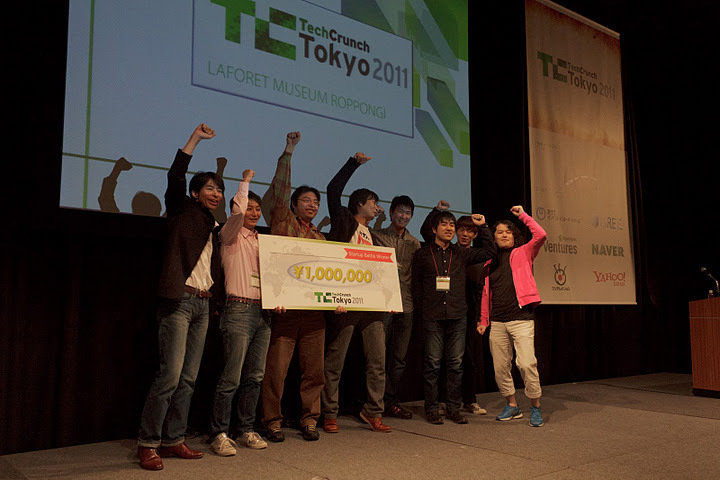 Videos from TechCrunch Tokyo 2011 can be viewed here, while some pictures from the event can be found here.